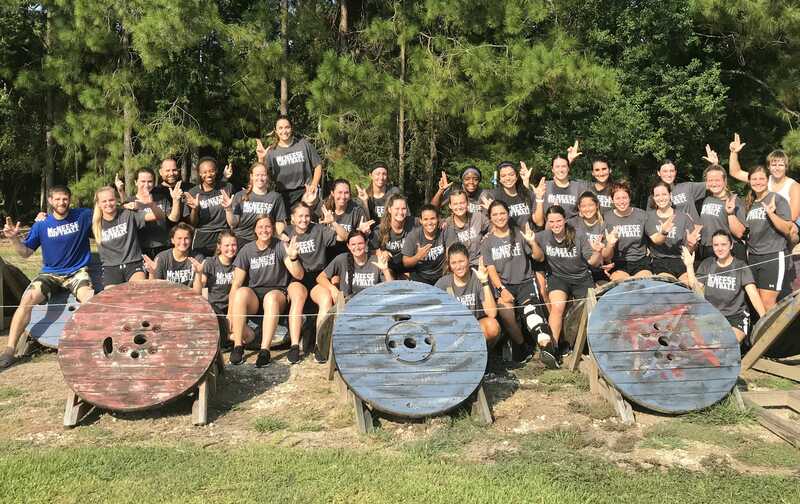 Your 2018-2019 McNeese Softball team has been working diligently this fall to create a team culture that is steadfast, immovable, working as a unit with one heartbeat. This team desires to grow into a group of people who defy the odds and stand out for the right reasons. They want to be a team of gratitude. They want to be solution driven. They want to be inspiring and encourage others. However, this Cowgirl family is not complete without the help of our community. That is what makes McNeese special. This fall, your Cowgirls have participated in weekly challenges called The Whanau Challenge. These competitions not only tax the team physically, but also in ways that change a group of individuals into a team. So why “The Whanau Challenge?” Our senior class spent time over the summer reading, Legacy, in which they talked about the symbol of the spearhead. Family of friends, when we work together we can go farther than McNeese has ever gone. Over the last three years, this program has made it to the regional round of the NCAA tournament. Last year, our donations reached $20,000. This year, with the help of our family, our goals are to surpass regionals and raise $30,000. All perks from the donations submitted will be sent out the week of November 18. 1 Year Dugout Club Membership, 1 McNeese Softball T-Shirt, 1 McNeese Hat, 2 Season Tickets, and 1 McNeese Softball Signed Jersey.